A Higuey Excursion is the perfect outing to get away from your Punta Cana resort for the day. Higuey is only about 20 – 40 minutes from Punta Cana, depending on what resort you’re staying at. Higuey is a small town that is steeped in 500 years of Dominican history. Higuey, which means sunlight, in the Taino language was probably named that because it sits on the Eastern tip of Hispaniola and as such is the first spot hit by the morning sun. Higuey is the Capital of the province of La Altagracia, the economy focuses on agriculture and the urban center is built around the waters of the Yuma river. However, while these elements add to the beauty of Higuey, they are not the reason that people visit by the thousands every year. Higuey is home to the famous painting of The Virgin of La Altagracia, brought by the Spaniards over 500 years ago. The painting was brought in the late 15th century and until recently was housed in the Iglesia San Dionisio, the main historical element of the town, built in the 15th century. 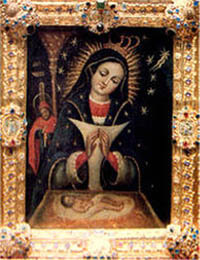 The painting is the primary symbol of the Mother of all Dominicans – “Our Lady of Altagracia”. 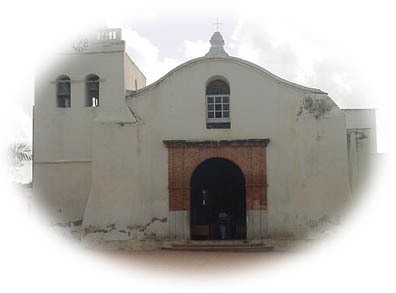 The painting was moved to the modern Higuey Basilica (Basilica Nuestra Senora de la Altagracia). While some say this building is nothing more than a modern Catholic Church, its avant-garde modern architecture make it one of the most stunning buildings in the country. 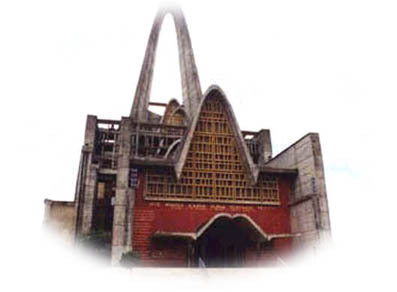 The church was designed by French architects and built in the 1950s. The stunning architectural element is a 75 foot arch. 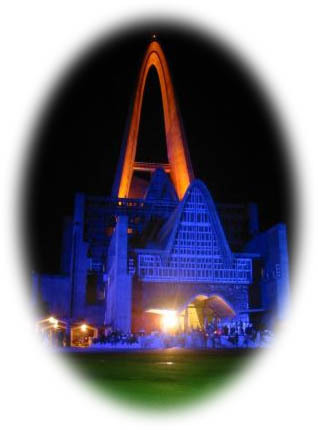 If you have the chance on your Higuey excursion, I strongly suggest you get a chance to see the Basilica at night. A lighting display was installed in 2002 that bathes the building and the arch in a bright Caribbean sunset once the sun goes down. January 21st is Our Lady of Altagracia Day, a national holiday, that is marked by the annual pilgrimage of over 25 000 people to Higuey to pay tribute to their matron saint. If you decide to take a Higuey excursion anywhere near the end of January, you will see this quiet little town come to life. Higuey is not very far from the Punta Cana resorts and how you get there depends on how adventurous you’d like to be. You can take a cab from the resort for probably $40-$50 each way or you can hop on a bus for about one US dollar. What option you take depends on how much culture you’re looking for – the bus will have you there in about an hour. A guide is a great idea as you can easily walk around aimlessly and not see much or notice the significance. If you have a taxi driver who speaks English well, ask him how much to show you around the town. For those taking the bus into town, expect people to try to sell you things – that’s the Caribbean culture. What we did is talked to people trying to sell us things until we found someone who spoke English well and seemed to know the town well. We paid him $15US to walk us around the town for a couple hours and comment on the sites. Here’s a street map of Higuey which is a good idea to print out and bring with you. We’ve had a surprising number of requests from people asking about going to church on their Punta Cana vacation. There are several churches in Higuey. While most of them are Catholic, there are some Protestant churches as well and even a Baptist church. If you’d like to attend service on your vacation, you’ll likely find your denomination in Higuey.